The Customize Windows > Computer and Internet > General > Can we recover deleted data? Can we recover deleted data? Builders and Microsoft Windows do not agree on what is one a megabyte or a gigabyte. For manufacturers of hard drives, 1 GB = 1000 MB, 1 MB = 1000 KB, etc. For Windows, 1 GB = 1024 MB .. 1MB = 1024 KB, which induces a difference in the size calculations. Windows sees 465 GB, but by counting the bytes one by one, there are many 500 105 216 000 bytes, so its a 500 GB hard drive as per manufacturer. More the hard drive capacity is, the greater the difference will be. Yes and no, there are specific conditions. A file on the hard disk is composed of two elements: its entry in the index (which indicates where to read data) and the data themselves. When you delete a file directly or you empty the Recycle Bin, Windows does not empty disk space where the data files, but merely mark the entry to the index as the hard drive erased. All this makes Windows faster, the entrance is just off. The data recovery software recover indexes. If disk space was not allocated to another file in the meantime, you can retrieve data with recovery software. To prevent the recovery, it is possible to make a secure deletion (wiping) that will write several times to the location of data, file recovery (regeneration index) probably lead … but a file totally unreadable. The entries in the index are rarely affected by erasure software. After use, recovery software provides information on the names of deleted files, even if the content is more accessible. If you also want to delete the old index, go through the program Restoration . It makes data recovery and can also perform the function of erasing the old index and more. The function is not development, it must go through a menu. The use of such software is at the risk of users. To safely test you can, for example you have on a USB drive whose contents have been previously saved by you. Sometimes called low-level format, without really knowing what it is. Often this type of formatting is seen as an ultimate solution to many problems such as confidentiality. This is not the case. What is the difference? The low-level format is a shift in their initial state of the magnetic particles from your hard drive, followed by cutting of the surface magnetic logically understood by the operating system: clusters, smaller storage units in the disk. The high-level format only reset the data, without affecting their storage structure, which is retained. This is the classic format: when we say “I format” is a high-level format. 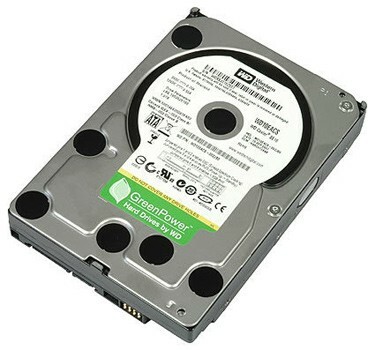 When you buy a new hard drive, the manufacturer has already made a low-level format, it remains only to partition the drive and format it (so high) to initialize the file system (FAT32, NTFS, etc. .. .) and the boot sector (boot). The low-level format is to be reserved for physically damaged disks, as it can in some cases repair cluster unusable. It will preferably by the utilities from the manufacturer. In other cases, it is not necessary. To avoid data recovery, for example if you sell your hard drive, a secure erase software to choose, rather than a low-level format. This Article Has Been Shared 256 Times! Articles Related to Can we recover deleted data? BIOS or Basic Input Output System is stored on a ROM on the motherboard and the settings are fully or partially accepted by the operating system. Title: Can we recover deleted data? Cite this article as: Abhishek Ghosh, "Can we recover deleted data?," in The Customize Windows, February 8, 2011, April 25, 2019, https://thecustomizewindows.com/2011/02/can-we-recover-deleted-data/.